FIRST SHE WAS A BEAT COP, then she was unemployed. Now, Kenneth Wishnia’s dynamic Filomena Buscarsela has apprenticed herself to a New York City PI firm to put in the three years necessary to get her own PI license, which she needs to earn enough money to support herself and her daughter. Trouble is, she often agrees to take on sticky neighborhood cases pro bono—like the group of squatters restoring an abandoned building in the neighborhood—rather than handle the big-bucks clients her bosses would prefer. While helping out her more “senior” colleagues with her own superior investigative techniques bred from years on the beat, Fil agrees to look into the disappearance of a young immigrant. Then, witnessing the arrest of a neighbor on marijuana-possession charges that nearly turns into a shoot-out with the police, Fil is roped into finding out what went wrong. Trying to balance charity cases like these with bread-and-butter cases, not to mention single motherhood, Fil is quickly in over her head dodging bullish cops, aggressive businessmen, and corrupt landlords in their working-class Queens neighborhood. She pours on her Spanish, her clever tricks, and her battle-tested charms to uncover a labyrinth of deceit, racial prejudice, and bureaucracy that not only rocks her neighborhood but also threatens the foundation of the big red house that is this PI’s America. 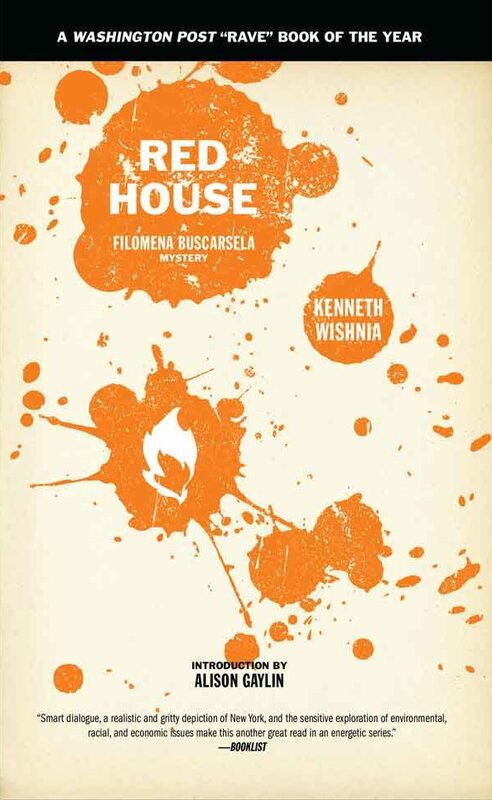 Red House is the fourth of Kenneth Wishnia’s novels featuring the irrepressible Filomena Buscarsela. All five—including 23 Shades of Black, Soft Money, The Glass Factory, and Blood Lake—are being reissued by PM Press in definitive editions with new introductions and extra stories. His latest novel is the award-winning historical mystery The Fifth Servant.